I just came in , turned on my computer when I remembered that today is :: Paper Toy Friday :: and I just had to post, I didn't had the time to make this one myself, but it look very easy and it's super cute!! 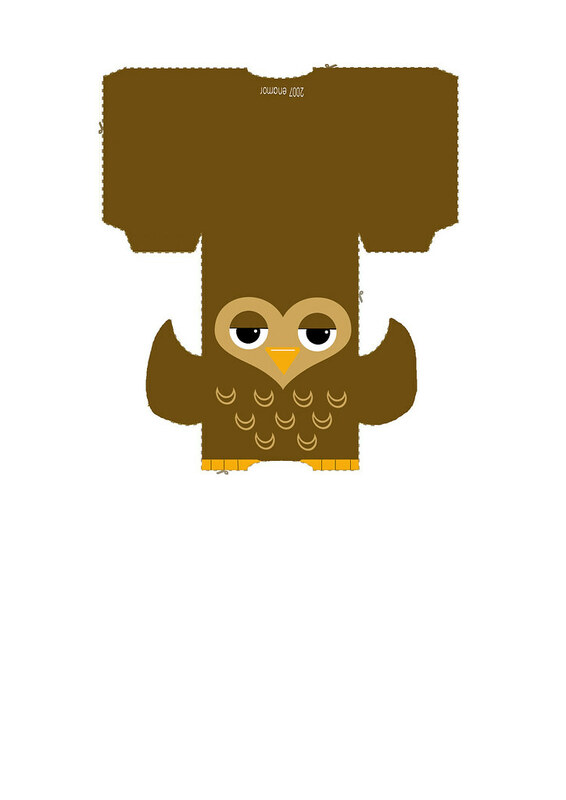 Meet HOOTS :), A cute owl that can keep you company in those lonely work nights, just place him in your desk or on top of your computer and he will bring out a smile in you. This one was fun to make but I had some trouble with his ears lol , but It was ready in 30 minutes, If I practice again with his head , I know it could be perfect.